TJ Roth Roofing is the premier Roofing company in Scottsdale and across The Valley. We have been in business over 20 years and provide professional quality roofing solutions. What keeps so many home and business owners coming back to us, referring our roofing company in Scottsdale to their family and co-workers? As a roofing contractor that offers excellence in residential and commercial roofing for the Scottsdale area, Roofing we have years of experience in roof repair, roof replacement, roof insurance claims assistance, gutter cleaning and installation, installing siding, patio covers , windows, and much more! No matter what your needs; when you need a turn-key residential roofing company in AZ that exceeds expectations and always delivers on time, call us! We also provide no risk, no obligation, free roof inspections! One of the many reasons we are a trusted contractor in Scottsdale is because we offer affordable roofing and home services. Other roofing companies may give you a fast and dirty roofing estimate that is sometimes not what the end bill reflects (typically the end bill is higher), quote you a suspiciously low price, tell you that they do good work, then disappear after everything is done! TJ Roth Roofing by comparison, will stick to our estimate no matter what which is a competitive rate but not a “low ball” quote just to earn your business. From scheduled gutter cleaning to siding installation and beyond, We offer a 100% satisfaction guarantee and a full warranty on everything we do! We are never satisfied just being a local roofer; we strive to be the best local roofing company in Scottsdale! Call us today to speak with the local roofer and home services expert! ​We are local roofing company that offers a variety of home services to our Scottsdale, AZ friends and neighbors! Roofing- With a name like TJ Roth Roofing it should come as no surprise that we are the authority when it comes to roofing in Scottsdale. We offer high-quality craftsmanship when it comes to residential roofing and commercial roofing, and are experts in multiple styles of roofing (asphalt shingle roofing, tile roofing, metal roofing, etc.). We provide roof repair for storm damage, hail damage, roof tear off, roof replacement, fascia and soffit repair, replacement or installation of roof venting, shingles,roofing materials, sidings, overhangs, insurance claims, estimates, quotes, prices and much more! 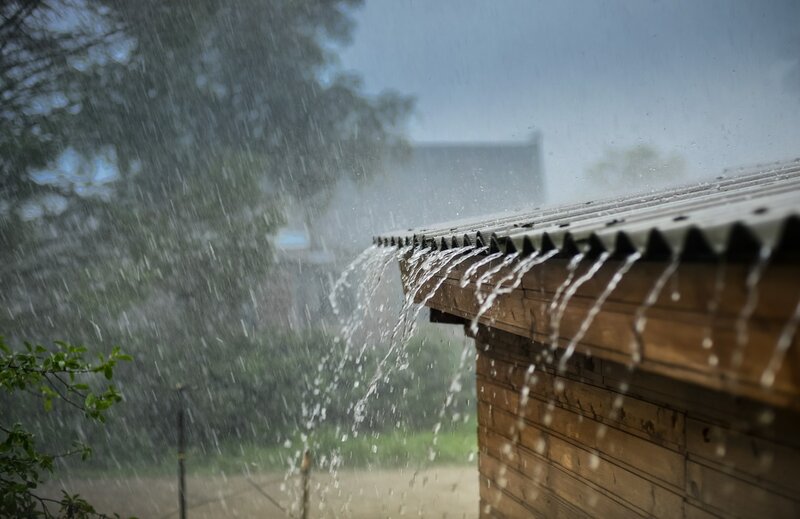 ​As the premier roofing company we specialize in roof insurance claims to help you get your roof covered when things like bad weather deal damage to your roof. 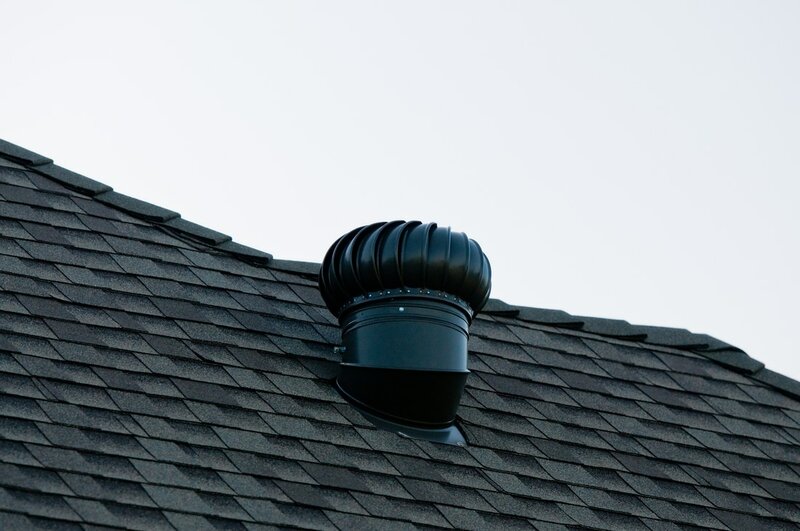 Our Roofing Services has got you covered! 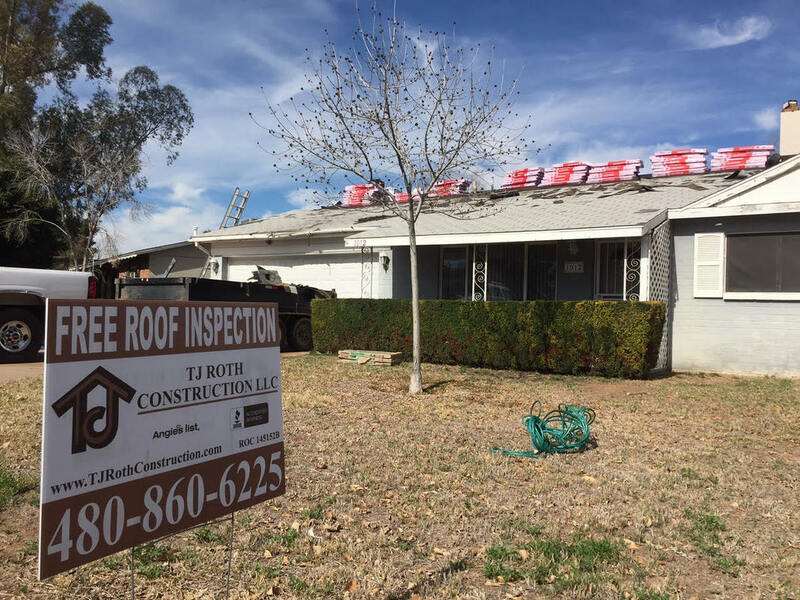 INSURANCE CLAIM ROOFING PROS When Arizona weather has passed through and done a number on your roof, you need a local roofing company that specializes in insurance claim roofing; that specialist is TJ Roth Roofing! The insurance roofing claim process intimidates many homeowners and business owners alike. We are here to take the guesswork out of the roofing insurance claim process and to help you get the coverage you deserve! 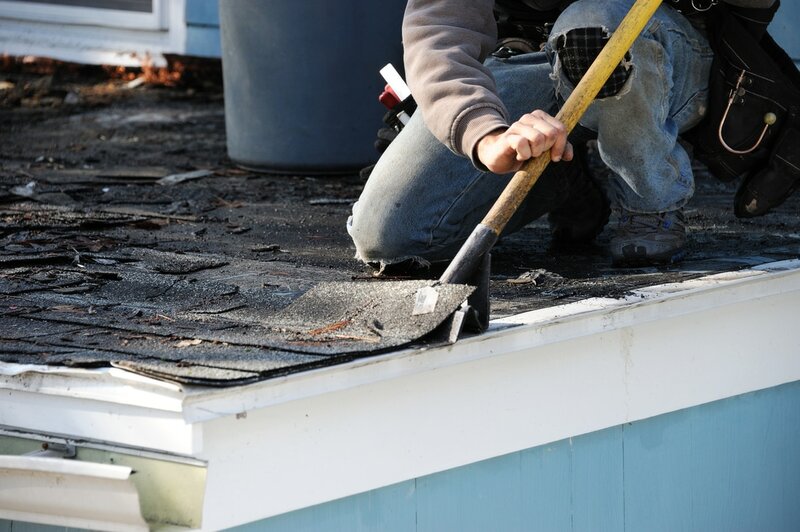 Insurance claims begin with a free roof inspection, where we do a comprehensive search for roof weather damage such as hail damage, wind damage, and other issues. If we discover significant roof weather damage, we will counsel you on what to do next, which is typically call your insurance provider to request a free roof inspection by an insurance claims adjuster. We will act as your ally during your roofing insurance claim, joining the adjuster during their free roof inspection, and continuing to help you until you receive the payment owed to you according to your policy regarding roof weather damage. ​What all do you do? We get excited talking about roofs and we have a passion for them. We do roofs and everything in between from: residential roofing, commercial roofing, flat roof systems, re-roofs, Modified Bitumen, Thermoplastic Polyolefin Systems, chimney flashing, free roof inspections, tree damage, hail damage, commercial windows, residential windows, patio covers, roofing insurance claims, gutters, siding, vinyl and aluminum, copper gutters, zinc, estimates, shingles, overhangs, services, roofing equipment, vents, tear offs, roof replacements, and prices, quotes, and estimates on all the above. ​What types of gutters do you carry? We have every style of gutter imaginable, if we don't have it in stock we will find it. Popular styles are, continuous gutters, copper gutters, aluminum gutters, steel, gutters, half round gutters with round downspouts, vinyl and plastic gutters with round downspouts, integral gutters, fascia, gutters, Rain pro gutters, and anything else we can find to make you home look fantastic. What type of roof styles and shingles do you carry? Asphalt shingles, metal shingles, wood shingles, slate shingles, tile shingles, mansard roofs, hip roofs, bonnets, flat. cross gabled, dutch, butterfly, winged, A- frame, folded plate, cool roof, built up roofing, foam roofing, modified bitumen, and roof coatings. If you check out our gallery you'll see a little bit of everything. Bottom line is we do roofs and gutters that will make you home look fantastic for years to come and keep your family safe from the ever changing weather conditions. ﻿Of course costs are always dependent of the scope and size of the job. Insurance claims usually cover the cost of most roofing jobs and all that is required is the deductible. Contact us today for a free inspection and estimate. We don't mind driving but here is list of cities we commonly serve. Scottsdale, Phoenix, Tempe, Mesa, Gilbert, Glendale, Surprise, Fountain Hills, Tucson, Oro Valley, Sedona, Flagstaff, Goodyear, Arcadia, Ahwatukee, and anything in between. TJ Roth Roofing has seen many people fall victim to a roofing scam over the years, and in the interest of being a helpful local roofing company for both residential and commercial roofing, we offer the following information. How do you spot a roofing scam? Don’t get robbed; call us to get it done right the first time!